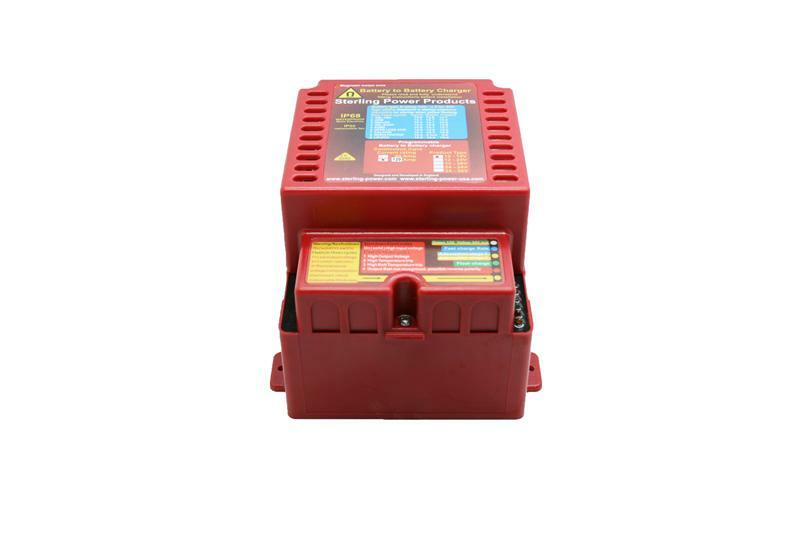 Marine Battery Chargers, DC Powered Charger, DC to > DC to DC Battery to Battery Chargers > IP68 Rated Waterproof DC Input Battery to Battery Charger > Sterling Power BBW12120 120amp Battery to Battery Charger 12V to 12V. 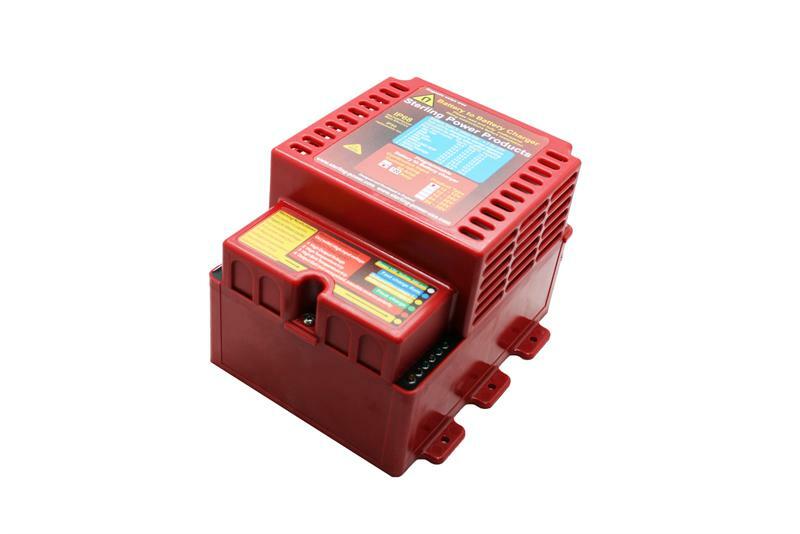 Waterproof DC to DC Battery Charger. 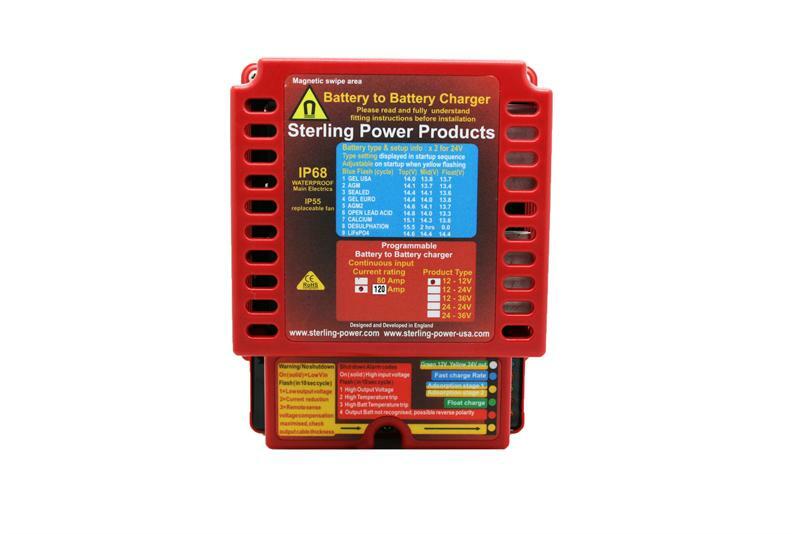 Sterling Power Products new 12Volt input to 12Volt output 120Amp Waterproof IP68 Battery to Battery Charger. 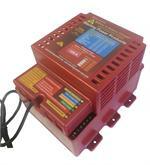 Most Powerful DC powered Battery to Battery Charger now available! New, higher powered, waterproof (IP68) model. 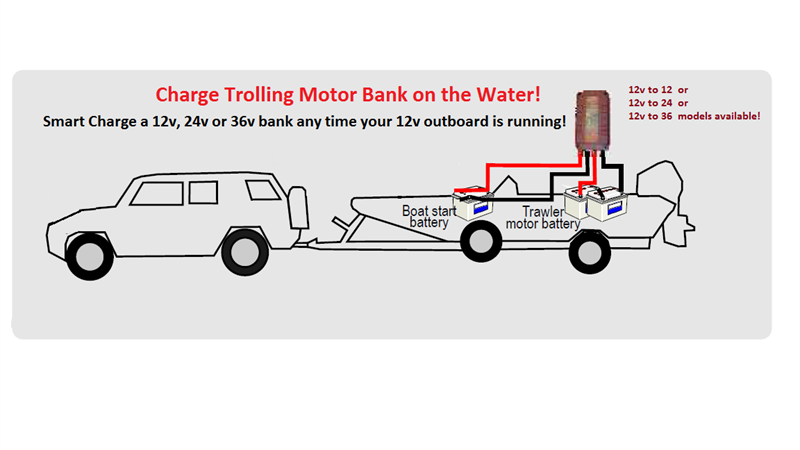 Not just a booster but a reducer as well giving full charge control regardless of alternator voltage. 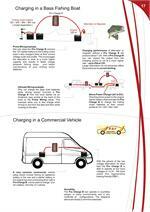 In order to increase the efficiency of new vehicles and improve their fuel consumption and carbon footprint a lot off work is being done on energy recovery during slowing down or braking cycle off a vehicle. 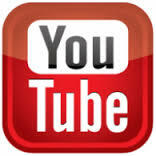 This idea is to recover as much otherwise wasted energy during this process as possible and convert it to useful energy. 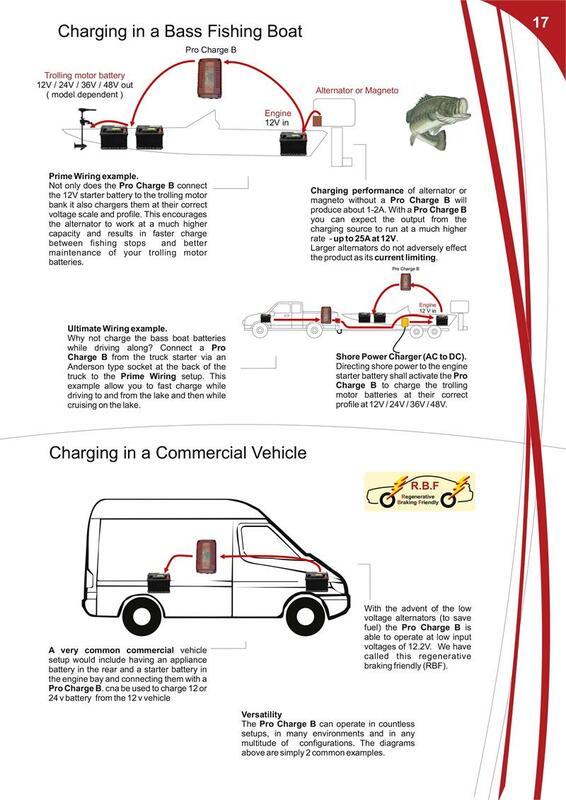 The way the new systems achieve this is very simple and clever, (in lay mans terms) on starting the vehicle the vehicles software instructs the alternators voltage to rise higher than normal, usually around the 14.9V + level, this is to return the energy into the battery which has just been depleted a little during the start up process, however, there is another part of the program which says to the alternator “do not fully charge the starter battery but leave about 20% space in the battery” as the system cannot allow the starter battery to fully charge or the whole concept of the regen system will not work. After the alternator has replaced the engine start power (within a few mins) alternator voltage drops way down to about 12.4V, at this voltage the vehicles auxiliary system can run but the battery is not charging, however once you take your foot off the accelerator to slow down or touch the brakes then the regen system leaps into action, the alternator shoots up to about 15.3 volts, this fully loads the alternator and blasts lots of power from the alternator into the 20% space in the starter battery, all this energy is literally “free power “ and the extra load on the alternator helps to break the vehicle (saving brake pads etc). 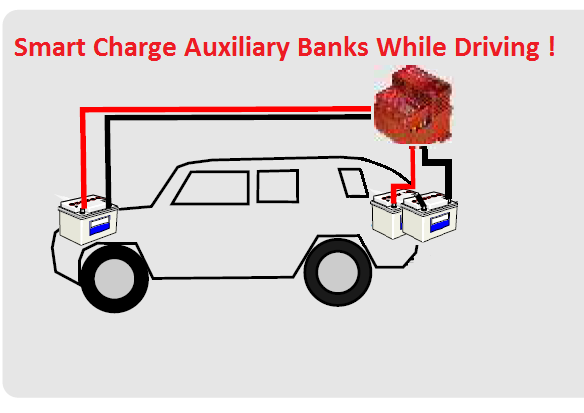 Once you have stopped braking and continue to drive then the alternator voltage will drop again to 12.4V and all the “free power” you have acumilated in the battery during braking is released into the vehicles electrical system to run the engine, lights, heaters etc thus relieving the load on the alternator for a short time and so saving power and fuel, the system is simple and works, however if you have an auxillary battery connected to run other equipment and charge auxiliary batteries, it is simply impossible to charge the battery from the front electrical system using old techniques, and if you try, you can easily destroy your batteries due to the high in rush on batteries like AGM and Gel, and undercharge normal batteries. 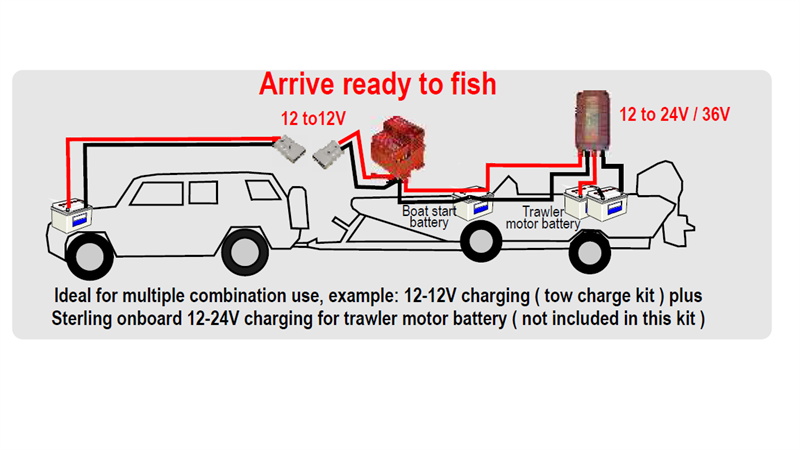 Remember the whole regen energy recovery idea only works if the batteries are not full, if they were full the recovery system simply cannot work, so by very definition you cannot fully charge an auxiliary battery. Some large companies have requested that the manufacturer remove this regen system alternator program from the vehicle, but they simply cannot do this as all the engine certifications are subject to the emissions etc for that engine and the regenerative system is integral to that. The solution is our new Battery to Battery charger, which has both an auto setting and an ignition setting. If you have a regenerative system simply select the ignition setting and even when the vehicles electrics drop top 12.6 volts (or lower) we simply take that voltage and boost it up into your aux battery system ensuring steady power charging regardless of the vehicles voltage variations. Fully adjustable for battery type and other functions. 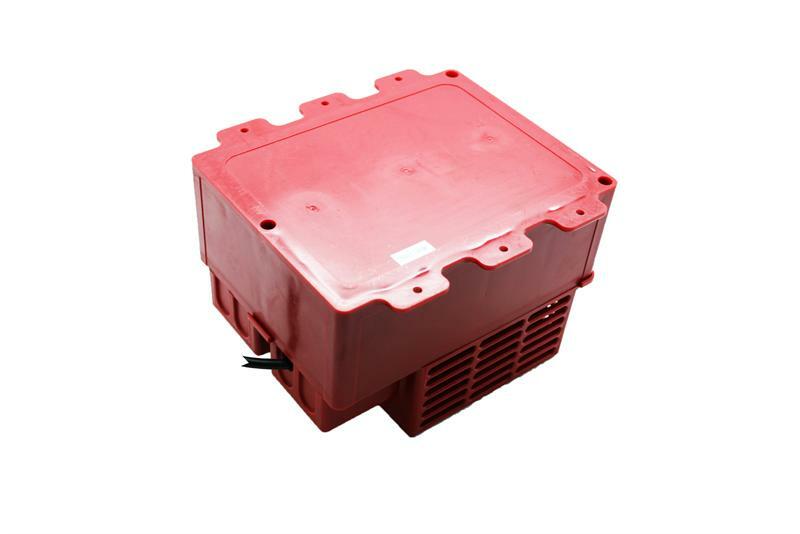 Encapsulated electronics, fully waterproof thermostatically controlled fan cooled for smaller footprint. 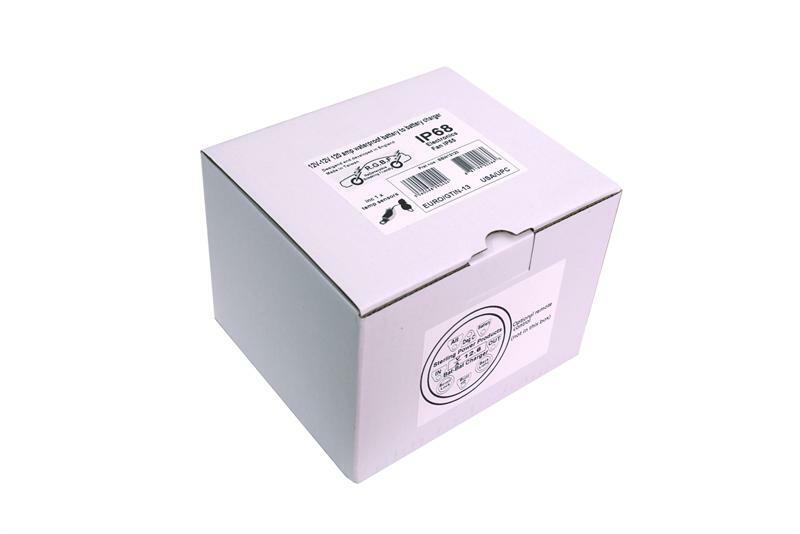 Fan is not IP68, however, it is designed to be easily replaced in the event of a failure. Voltage Reduction, SOME MODERN ALTERNATORS COME PRE SET WITH A VERY HIGH STANDARD VOLTAGE IE ABOUT 14.8 - 15 VOLTS, this voltage is fatal to some battery types. 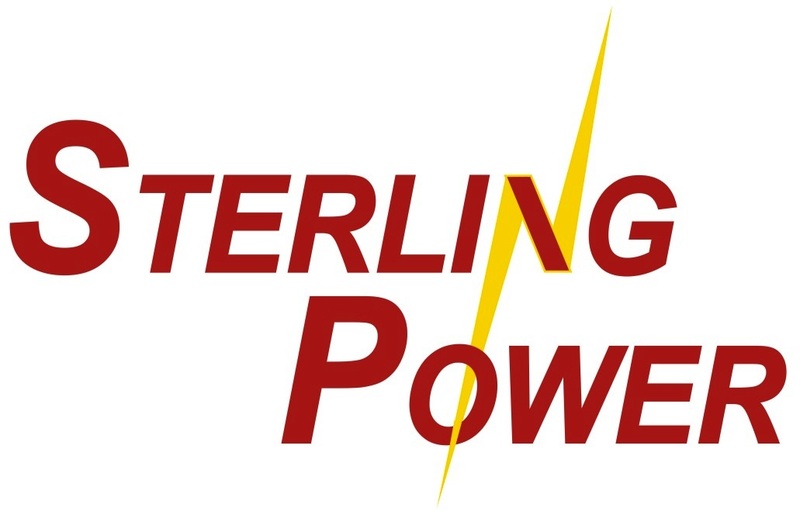 Up until now, most Sterling Power products have been all about increasing voltage to boost charge the batteries, however some alternators now come standard with very high output voltages, on the surface this may seem like a good idea but the voltages on some alternators are way above the recommended voltages for the likes of AHM, GEL, and Lithium batteries. 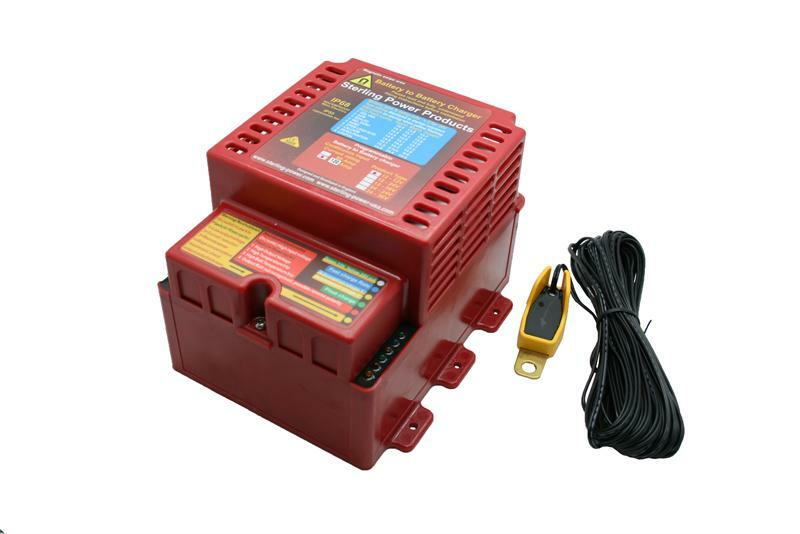 Voltages of 14.8-15V are not uncommon, in this case the voltage must actually be reduced not increased, this model has the ability to boost or drop the alternator voltages depending on the battery type selection and the battery charging requirements, ie you can feed 15 volts into this or 13.8V and you will still get 14.4 (IF THAT IS YOUR SELECTED / REQUIRED SETTING) .